Posted on June 1, 2017 by Smorgasbord - Variety is the Spice of Life. 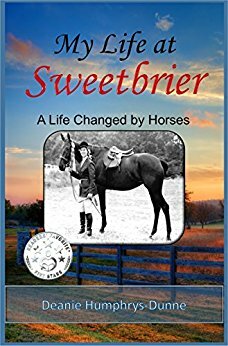 The first review today is for the newly released My Life at Sweetbriar: A Life Changed by Horses, the memoir by Deanie Humphrys-Dunne. My Life at Sweetbrier is about a young girl diagnosed with cerebral palsy. The doctors told her parents she would never walk. 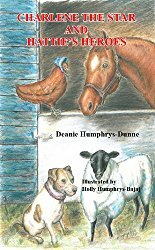 Little did the doctors know about Deanie’s father’s determination, and he told the doctor where he could go with that opinion. I like that line in the book. 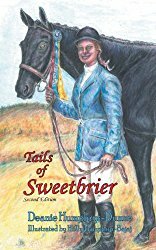 My Life at Sweetbrier is filled with Love, Determination, Strength, and Perseverance. A loving family’s purpose of helping their baby to overcome her obstacles and reach for the stars. Which she did!!! She not only walked, but she learned to ride horses. And Deanie became a Champion!! I loved the sheer fortitude and “never give up attitude” of Deanie and her wonderful family. 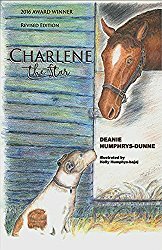 The part about the fire in the barn and her father risking his life to save all the horses was quite heartfelt. 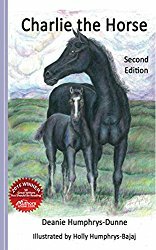 I was saddened by the loss of two horses. Through many trials and problems with Deanie’s legs and walking, it never seemed to daunt her as she grew, it simply made her stronger. I loved My Life at Sweetbrier!! And I highly recommend this sweet book!! Delighted to add Sacha Black to the bookstore last week and already her debut release, a guide to creating rounded and exciting evil characters, 13 Steps to Evil is receiving fantastic reviews. Here is the latest one by author Shelley Wilson. I’ve followed Sacha Black’s blog for quite some time and thoroughly enjoy reading her posts on every aspect of the writing profession. 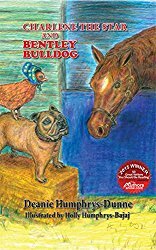 When I heard that she had produced the first book in her writers’ craft series I was excited to learn more. 13 Steps to Evil is a unique look at crafting the villain within your story. Novice writers may be thrown off course by the revelation that the bad guy is just as important as the hero, but Sacha explains why this is so in full detail. As with her online work, the author’s voice shines through, and I loved this about the book. Yes, there is a touch of bad language, but there is also that quirky and refreshing style that keeps you reading, and learning. The book is packed with references from literature, film, and television to help you grasp the ideas that Sacha is analysing. For me, this is an ideal learning tool as I can immediately ‘see’ how to integrate the lesson into my writing. At one point in the book, I was tempted to recall all my published works and begin a re-write! There is a useful appendix of fictional and movie villains that you can follow up and research at your leisure. Sacha has also included a handy further reading source list and tables of positive and negative traits. From deciding on the perfect trait for your villain right through to the conflict and climax, Sacha has you covered. I believe that 13 Steps to Evil is the ideal companion for every novice writer. This entry was posted in Book Promotion, It is a Wonderful Life. and tagged Deanie Humphrys-Dunne, Sacha Black by Smorgasbord - Variety is the Spice of Life.. Bookmark the permalink. Thank you for featuring my new review, Sally. I so appreciate it.